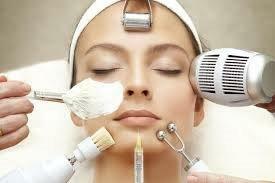 Our clinics most popular maintenance peel, Super Antioxidant Peel will leave your skin glowing and smooth. Including a powerful exfoliation with pigment lighteners, enzymes and vitamins, this peel is the perfect choice to refresh your skin, eliminate blocked pores and brighten complexion without any downtime/peeling post treatment. We recommend 3-6 treatments 3-4 weeks apart. Expect mild redness post treatment for couple of hours. Suitable for all skin types.